It was a work-related trip but it was, nonetheless, an exciting trip not to be missed. I was still new to photography then, and not even a travel blogger and I am seeing Batanes for the first time! Going to Batanes back then would be via a 2-hour flight on a propeller and cramped plane that had seen better days. Initially one can hear the disturbing sound of swirling propellers that sounds "whrrrrrrr" then becomes to "WHRRRRRRR"! You know what I mean. It was the longest 2-hour flight I have had. When we hovered Batan Island, I heaved a sigh of relief that finally, we were there. The landing was smooth but goes on a quick stop. If not, we would overshoot and ram into the foot of Mt. Iraya. Mt. Iraya at the end of the runway. Upon stepping out of the small plane one could utter--AWESOME!. Seeing Mt. Iraya at the end of the runway makes you conclude that the pilots of the plane must be good! After that grueling flight, the sight of Mt. Iraya would simply calm your senses. I would say, that Basco Airport is the most scenic airport in the Philippines--because it is physically so close to nature. Not only that, the Airport Terminal Building was an eye candy in itself. Though small, the architectural design was just impressive as it was able to capture Batanes' heritage. The walls are dominated by stone rip-rap while the terracotta floor (akin to Vigan tiles) accentuated the rustic yet modern ambiance. Small but beautiful airport terminal building. Seeing Batanes for the first time was indescribable. It was like me being transported to another dimension. Everything about Batanes is beautiful. Even Basco Poblacion is calm and quiet where every Ivatan has a ready courteous and welcome greeting and smile for an Ipula. Over the years, it seems to remain unspoiled by modern living. We can attribute this to their high priority for keeping their customs and traditions alive. An airline is planning to bring passengers to Batanes in May 2013 and there were fears that there would be a deluge of tourists and travelers, and might destroy its ecological balance and might be a snarl to the cultural practices of the Ivatans. It is my only hope and prayer that despite the imminent influx of people, Batanes would remain undisturbed. Earlier, I have written about some courtesy reminders for an Ipula (outsider) when he does the mingling with the Ivatans. I hope these tips would come in handy once a traveler gets there. Batanes architecture is simply impressive! Yes, one can still see the remnants of those thick and weather-resistant stone houses with 1-foot thick roofs, especially in the fringes of the town of Basco. Although Basco has more "modern" architecture now, there are still remnants of the age-old stone houses. But one notable feature about the houses, modern and old, are the blue doors and windows. A local said it symbolizes the color of the sea. 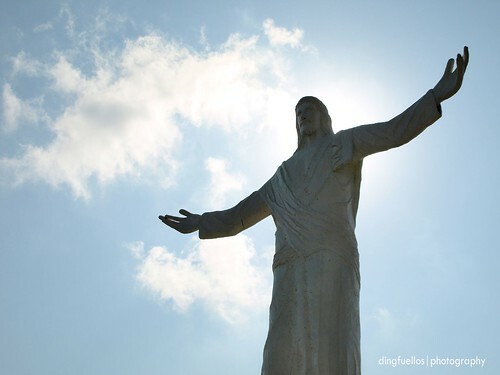 Basco's famous landmark at the Naidi Hill. Going around the Batan island (the main island) is not a problem. One can hire a jeep to go to famous places like the Tukon Radar Station, the famous Honesty Coffee Shop and Oldest Ivatan House in the town of Ivana. If you are into churches, the churches of Basco, Mahatao, Ivana, and Uyugan are quite quaint. Although how I wish I had the time to explore these pieces of architecture back then. On the way to Uyugan, one can stop at the view deck that gives one a great view of the panoramic coastline of the Batan Island and where one can see rolling hills nearby and Basco from afar. Fundacion Pacita is a landmark no one should miss. From the veranda, one can have the chance to have a beautiful vista of the island and the commanding view of Mt. Iraya. The famous Batanes icon--the lighthouse at the Naidi Hill is worth a bike or a stroll from the town proper. There are treks to Mt. Iraya, but I did not try it out for lack of time and it was not in my main agenda why I was in Batanes. Those who have the guts to ride the waves, it is more fun to explore Sabtang and Itbayat Islands. We were encouraged to go to Sabtang, but upon seeing the huge waves crashing on the shore, I backed out. Back then, I was still nursing my fear of the seas after a mishap. Besides, we would have to go back the next day which was also the time for us to fly out to Manila. One can actually tour around Batan island in one day--if only to see the places of interest I have enumerated. But staying there for a longer time would make one commune with the people and learn their way of life. A stroll in the park or just getting lost in Basco town is always a pleasurable experience. Meeting Ivatans is just awesome as every Ivatan would greet the stranger you a good day. This is definitely a breather from those fast-food crew staff greeting you with "Ma'am/Sir" like a broken record. Naidi Hill from the Seaside Hotel. Although the main purpose of going there was work, I was able to squeeze in some time for some sight-seeing in between work breaks. That means I had to live with the fact that our time was limited and we did not have much time going around, but 5 days was, I guess, long enough to get a good sense of what it's like to be living in a paradise called Batanes. The more rewarding part of it all is that I get the chance to celebrate my birthday--quietly, without my new colleagues knowing it. It gave me the time to reflect, and just be awed by the wonders of nature around me. Had I been a travel blogger those days, I would have explored more. Be that as it may, it was such a sweet sojourn. My fellow travel blogger asked me what would be my best travel destination so far. The answer is simple. Batanes. 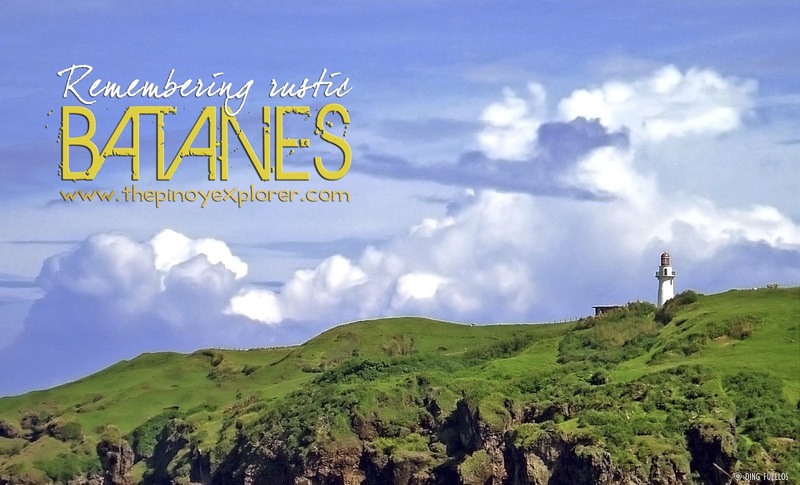 For more photos, visit Remembering Rustic Batanes on Flickr.